Louisa A. “Lois” Pond was my 3x great-grandmother. Louisa’s father, Samuel Pond, was married first to Betsey Walker, then in November of 1821 he married Louisa “Lois” Adams. Unfortunately Louisa died only a couple months later in June of 1822. 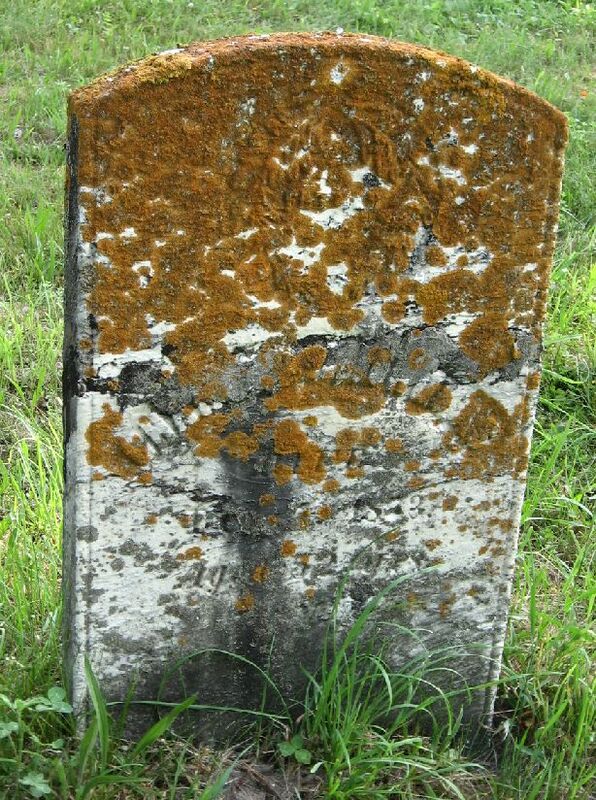 Her tombstone in the Middlebury Cemetery in Middlebury, Vermont reads “Lois, daughter of Silas and Lois Adams and wife of Samuel Pond died in Chateaugay, NY in June 1822 at the age of 24 years”. 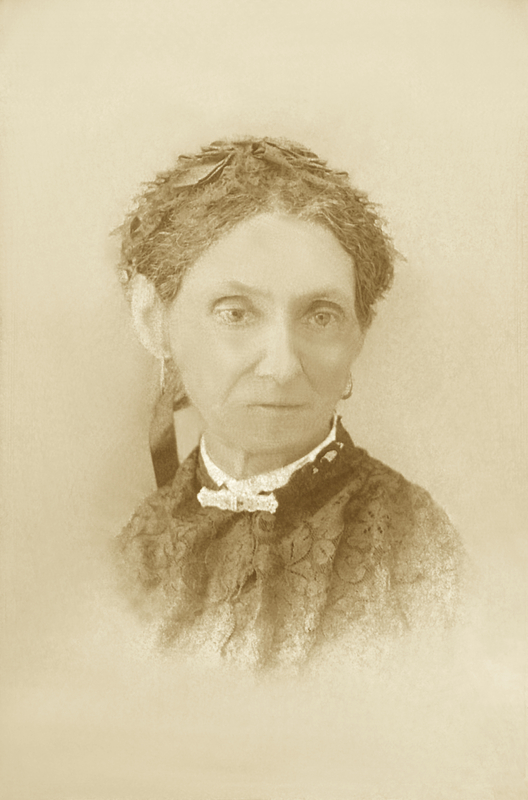 Samuel remarried almost immediately to his third wife, my 4x great-grandmother, Sally Maria “Mariah” Morse (1805-1890) on 3 Aug 1822. But Samuel must have still carried a torch for his recently-departed, as he named his first-born child Louisa A [Adams, likely] Pond. My grandmother was born nine months after the marriage on 11 May 1823 in Burke, New York, and was the first of 13 children. Louisa was mentioned as one of the founding members of the Burke Presbyterian Church in 1845 when she was 22 years old. Presbyterianism or Congregationalism in Burke was one with that of Chateaugay until 1845, when, upon the erection of Burke as a town, twenty-six members of the mother church ( which had been formed in 1816) were granted letter of dismission to form a Congregational church in the new town. Right around the same time (1845 or 1846) Louisa married Charles H. Thomas, a blacksmith. I believe the “H” stands for Horace, as their first child was given that name. Charles was born in Chazy, New York in 1821, the son of James S. Thomas and Sophia Ransom. Their son Horace Luther Thomas was born in Burke on 13 Dec 1946. Horace was my great-great-grandfather. Six children followed: Lovisa Maria Thomas (1847-1930), two boys who died in infancy (Charles Thomas and Charles W. Thomas), Alma M. Thomas (1852-1943), Charles Franklin Thomas (1854-1927), and Warren Perry Thomas (1860-1896). I have written about Charles Franklin and Warren Thomas several times, as they were involved in a tragic train accident in 1896. 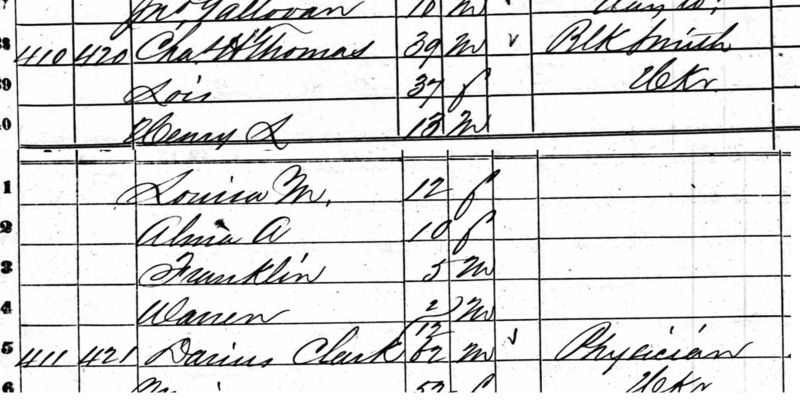 The family appears in the 1850 census for Burke, New York where Charles is 29 years old and is listed as a “Blacksmith”. My grandfather Horace is only 4 years old. 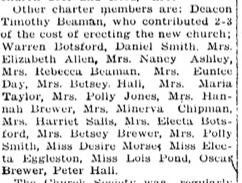 The Charles Thomas listed here (born about Feb, 1850) is the first of three children with that name. The first two, as stated previously, died in infancy. 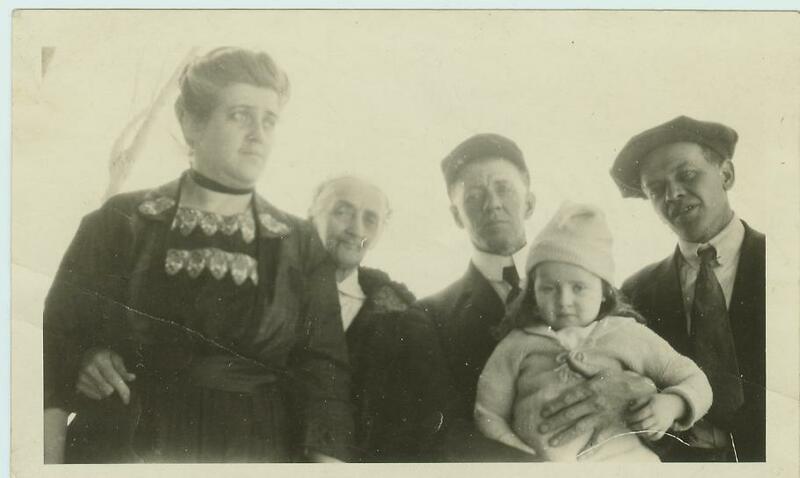 Above: Lovisa Thomas (second from left) with her son Francis Lavery and the family of her daughter Addie Lavery Taylor (far left). The family moved from Burke, New York to Canton, New York [about 55 miles away] sometime between the births of Charles Franklin Thomas in 1854 and his brother Warren in 1860. 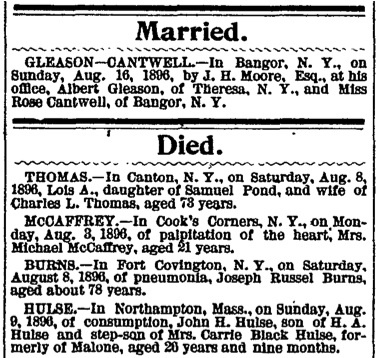 The next mention of Charles and Louisa is in the 1860 census for Canton, New York. Horace is listed as “Henry L” Thomas, his sister Lovisa is listed as “Louisa” (like the mother), and Charles Franklin is listed as “Franklin”. Charles’s Civil War Draft Registration form from June of 1863 lists him as a Blacksmith living in Canton, New York. Charles was 42 years old at the time. Charles passed away in Canton on 7 Dec 1873 and was buried in Bridge Cemetery with his wife and his son Warren. A one-line notice was the only notation I’ve found of his death. Louisa’s husband Alvin died on 16 Mar 1896. Louisa followed on 8 Aug 1896. Her son Warren was killed on 8 Dec 1896. Death announcement. From “The Palladium”, Malone, New York, Thursday August 20, 1896. Horace Luther Thomas married Anna Elizabeth Clifford, the daughter of Irish immigrants. They had seven children: Anna, Agnes, Emma, Horace Jr, Nellie, Robert Erwin, and Frederick. They lived in Winooski, Vermont for almost 60 years where Horace worked as an electrical engineer at the Winooski hydroelectric power plant. Lovisa Marie Thomas married Julius T Lavery. They had four children: Martha, Warren, Francis, and Addie. Lovisa lived in Canton, New York for 70 years where she worked as a dressmaker and seamstress. Alma M Thomas married Henry H Eggleston, a farmer, about 1870, and they moved between Canton and nearby Potsdam, New York for the next 70 years. Henry and Alma had two daughters: Frances L “Frankie” Eggleston, and Jessie M Eggleston. 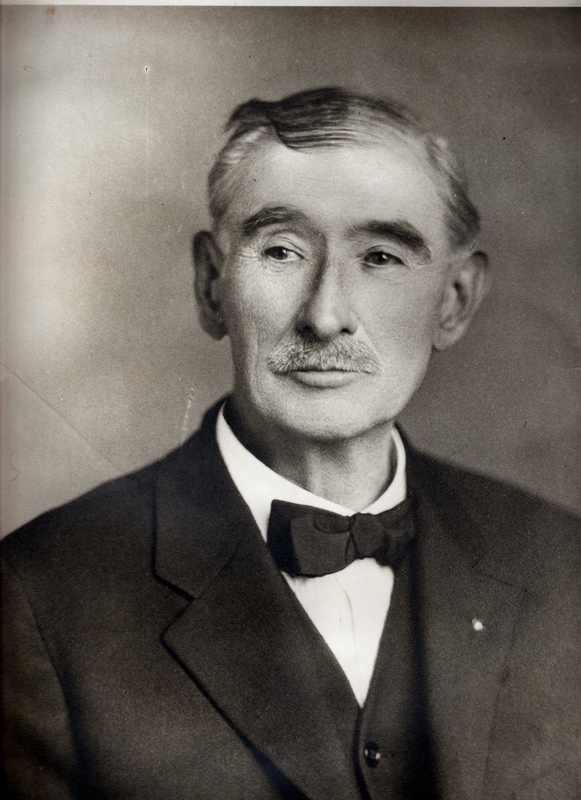 Charles Franklin Thomas was a railroad conductor for many years. 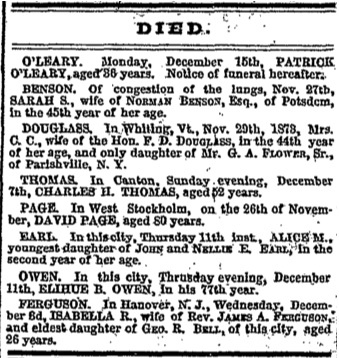 He married Mary M. “Polly” Thomas in Burlington, Vermont in 1876 and they had five children: Charles Franklin Jr, Horace Edward, George, Ira, and Harold Wilmer “Catcher” Thomas. “Eddie”, “Georgie” and Ira all died in 1889 from Diphtheria. Charles Jr was killed in a freak train accident in 1899, so Catcher was the only child left to carry on the family line. Warren Perry Thomas was a miller and a fireman for the Vermont Central Railroad. He married Marion Dixon in 1880 and they had two children, Delbert Wilford Thomas and Mildred Marion Thomas. As stated before, Warren was killed in a train explosion in Eagle, Connecticut in 1896.